Accounting, auditing, corporate governance and banking failures have already destroyed economies and livelihoods, but governments and regulators have done little to introduce meaningful reforms and their failures make the next crash more likely. 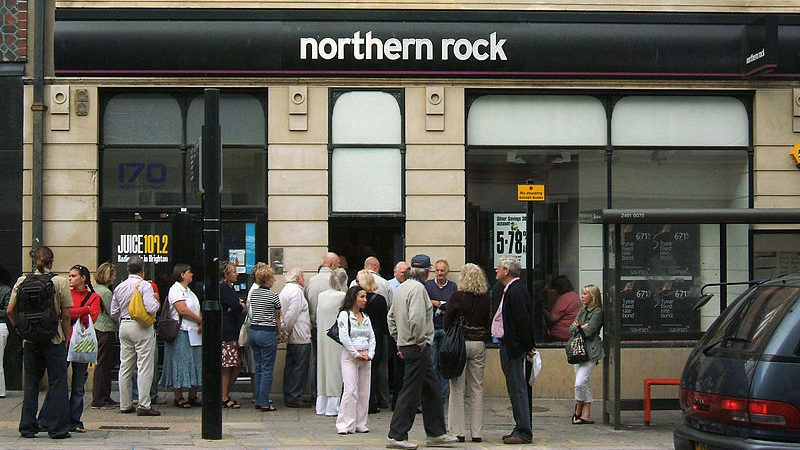 It has now been ten years since the last banking crash enabled the government to inflict austerity on the population. Many households are yet to see recovery in their purchasing power. Bankers have done OK. Bailouts, guarantees, quantitative easing and flow of cheap money enabled them to receive bonuses of £15bn in 2017, the same as in 2008. Most things have also hardly changed. The biggest change hyped by the government is that retail banking is being separated or ring-fenced from the investment (or speculative) side of banks. We all remember that Bear Stearns and Lehman Brothers generated most of their profits from speculation. They gambled on anything from the movement of interest rates, exchange rates, price of commodities, minerals and much more. Both collapsed and infected the entire financial system. Ring-fencing takes effect next year but is not what it seems. Under this, banks will be split into two with their own separate boards. However, both banks will have a common parent company and will still be part of one organisation with a common overarching board. How long before we hear that walls between the two banks have been breached? Investment banks will still be able to borrow from insurance companies, pension funds, retail banks and others to feed their speculative habits. Their demise will inevitably infect the rest of the economy. Taxpayers will again have to bail out the system. Some say that at the next crash, bondholders should be forced to bailout banks and absorb the losses. That sounds plausible until you consider that bonds are also held by ordinary people and pension funds. Once again, innocent parties will have to bear the cost of bankers’ follies. It would have been far better to have removed the benefit of limited liability from investment banking altogether and thus ensued that speculators face the consequences of their own follies. External auditors are supposed to be the eyes and ears of financial sector regulators. They are permitted to report matters of concern to regulators even without client knowledge. But these watchdogs rarely bark. In the 2008 crash, almost all distressed banks received a clean bill of health, but some collapsed within days. It is hard to see any evidence of higher audit quality. Last week, a decade after the crash, the chair of the Financial Conduct Authority (FCA) and Payment Systems Regulator referred to auditor conduct as “just not good enough”. Banking regulators still do not set accounting and auditing standards, appoint auditors and do not have unhindered access to their files. In the era of instantaneous movement of money they still rely on ex-post audits conducted by private sector accounting firms who do not owe a ‘duty of care’ to any regulator. The financial reports prepared by banks seek to inform shareholders about their wealth, but continue to be used by regulators to make an assessment of the health of the financial system. A bank can make profits through reckless risk-taking but the same can also endanger the whole financial system. So accounting profits made by a bank do not necessarily provide a good guide to the dangers facing the system. A 2013 report by the Parliamentary Banking Standards Commission stated that flaws in contemporary accounting standards “mean that the current system is not fit for regulators’ purposes”. The Banking Standards Commission called for prudence in financial reporting i.e. banks should not anticipate profits and set aside profits to cover foreseeable losses at the earliest possible opportunity rather than after the event, as they did in 2008. Such recommendations have fallen on deaf ears. Neither the government nor the Financial Reporting Council (FRC), the accounting regulator, has introduced any substantial change. Last week, the chair of the Financial Conduct Authority (FCA) and Payment Systems Regulator said that the current approach of financial reporting “makes it inevitable that the financial statements of firms will not be sufficient for regulators to do their job in setting capital”. The flawed accounting data produced by banks continues to be used for stress tests and risk assessments and their value must be doubted. The Banking Standards Commission also concluded that the corporate governance system which prioritises shareholder welfare is dysfunctional. It recommended that “the Government consult on a proposal to amend Section 172 of the Companies Act 2006 to remove shareholder primacy in respect of banks, requiring directors of banks to ensure the financial safety and soundness of the company ahead of the interests of its members”. There has been no change. Karl Marx said that history repeats itself, “the first as tragedy, then as farce”. The tragedy is that accounting, auditing, corporate governance and banking failures have already destroyed economies and livelihoods. The farce is that governments and regulators have done so little to introduce meaningful reforms and their failures make the next crash more likely.